The best backpacking gear list is the one you use each and every time you plan a backpacking trip. Otherwise, forget it - as in, forget the map sitting on the end table, or forget the extra bag of trail mix under the front seat of the car. And not just a list! 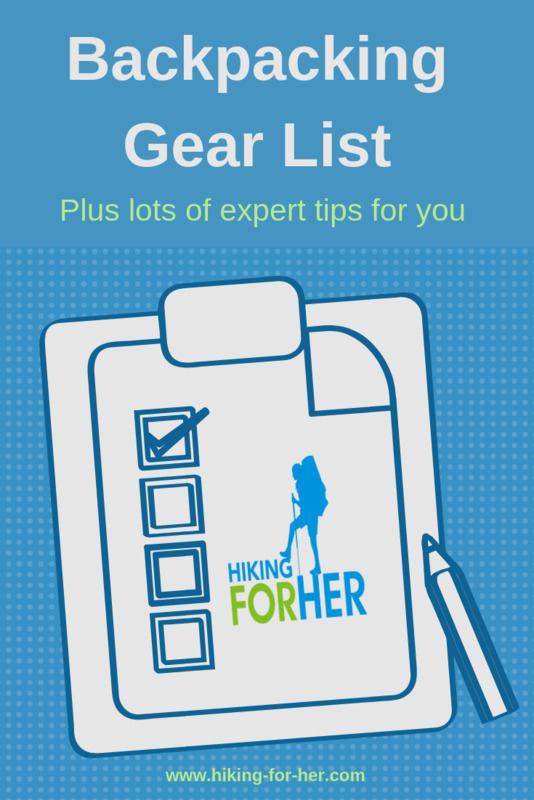 A thorough guide to selecting the best backpacking gear for your outdoor adventures. Here only for the checklist? This backpacking checklist is written for one backpacker who is heading into territory where self sufficiency is required. Your own judgment and common sense are required to make this backpacking checklist work for you. If you're planning a short 3 day or quick overnight trip, you can pare down this list. If you're teaming up with a trail buddy, you can split some of this gear between two packs, and thus lighten both loads somewhat. Because being uncomfortable on a backpacking trail is one thing. The length of your hiking trip, your destination, as well as the date on the calendar, all drive the type and amount of backpacking equipment you need to meet your basic needs. Because shelter from the storm becomes real in a hurry on a backpacking trip, let's start with backpacking equipment that keeps you warm, dry and sheltered. One of the major expenses on your best backpacking gear list will be your shelter. Anyone who is heading into uncertain weather conditions or high elevation terrain is going to want adequate shelter. Most backpackers, even ultralight hikers, carry at least a tarp to create a home base for sleeping each night. Those who like the comfort and shelter of walls, ceiling and a floor rely upon backpacking tents. Your choice of shelter is important, so if you're certain that you're a tent sleeper, slow down and do some research before you choose your portable home away from home. Renting a tent is a great idea if you're uncertain about its weight and performance for your hiking style. REI gear co-op offers gear rentals. And you can get a great deal when they clear out these tents every year! Your body will work hard on a backpacking trip. You need to give it the fuel it needs, and it will need a lot. Let go of any preconceived notions of how you're going to eat lightly and lose weight, or lighten up your backpack by bringing candy bars and energy gels. You'll be chewing your own fingers on Day 2! And your tent mate's on Day 3 - ew! As a veteran of a few backpacking trips that were a disaster in terms of menus and meal quantities, allow me to share some ideas on putting together simple, healthy backpacking food plans. Do you have dietary restrictions or preferences? Don't let anyone else plan your backpacking menu, unless you look over her shoulder and approve of the quantity, flavors, amounts and types. Trust me on this! Examine the maps carefully as you plan your backpacking route. Without accessible surface water, your outdoor adventure plan fails before you even put on your socks. And note the word "accessible". Is this a year round water source? If it's seasonal only, am I going there at the right season? Are there steep banks or cliffs, allowing me to access the water only at certain points? Even if you're sure you can access the river, be prepared for brush choked river banks, or streams that are lined with nasty spiky plants like devil's club (a particularly well named plant) or poison ivy or poison oak. The backpacking reality: sometimes you have to work hard for your water, and be alert to dangers blocking your path. I do not want you to make a miscalculation and run out of water, because a dehydrated backpacker is in trouble. Back to the topic: safe drinking water on a backpacking trip. How will you guarantee that your drinking and cooking water is free of disease causing organisms (pathogens)? Storing and carrying your hydration is a matter of personal preference. The point of backpacking is to leave behind the outside world and immerse yourself in Mother Nature's realm. However, issues of safety come to mind, especially for a solo backpacker. You can't predict what the trail or the weather will offer you, so having a communication plan with the outside world, regardless of how many miles away it is, makes sense. You might also want to consider carrying a piece of battery operated technology. It's more weight in your backpack, but less weight on your mind, if you're venturing into the backcountry or regions known to be problematic for bears encounters. Why not your cell phone? It's risky as your primary strategy! You're relying upon signal coverage, battery life, and your ability to control moisture and temperature levels from harming the device. For popular trails with excellent chances of meeting other backpackers when you need help, use your own judgment about relying upon a cell phone for communication. Before going into the backcountry with just a cell phone, think long and hard about your decision. If you don't know where you're going, you're lost before you even begin. And the entire trip might be lost if you have to spend day(s) and night(s) figuring out how the heck you got lost, or more importantly, how to find yourself again. Sitting and waiting for Search & Rescue (SAR) to do their thing, not recommended as a backpacking plan. Maps are navigational aids that only work if you know how to read them. Paper topographical maps, kept in waterproof sealable pouches, are mandatory for backpackers who like to pay close attention to the terrain they hike through. Maps loaded onto an electronic device, allowing you to zoom in & out and to track your coordinates, work if your batteries hold out or can be recharged on your trip. Old school is best, because a paper map isn't going to refuse to open or be unable to display your coordinates. Wishful thinking is not going to keep a bear out of your camp kitchen. Take precautions for impeccable food storage. NOTE: If you're backpacking in regulated areas, your choice of bear deterrents for food are made for you, so be sure to read the fine print if you're headed into a national park or other public area. If you're not backpacking in bear territory, a food canister or sturdy mesh food bag can be used to guard against chewing rodents, raccoons and other mammals. Now that we've got your basic backpacking survival gear squared away, let's turn to equipment and necessities. It's essential that you make good choices in trail footwear, outdoor clothing and trekking poles. Your backpack is an essential part of a successful trip. You'll also need to put together an appropriate sleep system and a camp kitchen. All of this essential talk is based on The Hiking Ten Essentials, which you've probably heard about! For backpackers, it's kicked up a couple notches. Here's where I see a lot of beginner backpackers go wrong when pulling together their best backpacking gear list. What you put on your feet is critical to your ability to carry a loaded backpack for hour after hour, day after day, until you can set down your pack at home and not have to pick it up again for a long time. Not to put too fine a point on it! Gravity pulls your weight + your load's weight down, down, down, and your feet distribute that weight after it passes through your hips, knees and ankles. If your boots or trail shoes aren't built to support your arches, protect your ankles, avoid blisters, and cushion each step, hello, Lucy! You're in trouble! Read up on your backpacking footwear choices, and promise me that you'll put just as much time and consideration into your choice as you will for your backpack and tent! If you're accustomed to choosing clothing based on price, color or cut, you've got to develop a new mindset as you shop for the best outdoor clothing for backpacking. As a backpacker, you want need clothing which is moisture wicking and breathable so you sop up your sweat and off gas it into the atmosphere without overheating. You also want fabrics that repel or omit water, depending on your budget and your destination. It's okay to let go of your delusion that it won't rain on YOUR backpacking trip. So evolve into the wonderful world of water repellent and water proof backpacking clothing, and grin in the face of nasty weather. Hiking For Her has a distinct bias toward having trekking poles, also referred to as hiking poles or walking sticks, firmly in hand. You have lots of questions, of that I have no doubt. Like "How big of a backpack should I buy?" Or "What the heck does 50L mean??" Buy a backpack just large enough to accommodate your backpacking gear. In other words, bigger is not better in the backpack world. Aim for 35 - 50L for a short backpacking trip, and go up to 70L for a longer trip. If you're a larger person with a lot of gear, you can push that 70L even higher, but think carefully about why you need to. If you skipped the ultralight link above, use it now. Although one could argue that a sleeping bag or backpacking quilt is shelter, let's keep it right here as a fundamental piece of the backpacking puzzle. Your goal as a backpacker is to sleep through the night in warmth and dry comfort, without lugging around a heavy bag or quilt. That's essential for your health on a backpacking trip, and thus for your safety. Why use a backpacking quilt? Another vital component of your sleep system is your choice of sleeping pads. Self inflating pads are convenient, while non inflatables are inexpensive and durable. Here's where we stray into hiking psychology territory. For some backpackers, the sight of the shelter and kitchen spot at the campsite is an emotional tie to home, comfort, safety, and a sense of ease before turning in for the night. For other backpackers (especially ultralight hikers), setting up a camp kitchen represents time, weight, effort - factors which erode the purpose of the trip: go fast, go light, go hard, set some personal best records. Food is security. And it's muscle fuel. This is an important category in your best backpacking gear list, and deserves thoughtful attention. Skip the idea of being in your sleeping bag, snug as a bug in a rug, before darkness descends. Go straight to the reality that you're going to need a headlamp or flashlight when you hunt for a campsite after a long day, or cook dinner at twilight, or rummage around in your backpack for those clean socks you're craving inside your tent. My bias is toward headlamps, because they free up your hands and can be adjusted, and directed, in the desired direction. Onward to the third category on your backpacking gear list, one which is every bit as important as your boots and sleep system! It's always puzzling to read about the deprivation and torment some backpackers put themselves through on a backpacking trip. Why go if you're going to come back gaunt, sore, blistered and beaten down? The usual answers revolve around glory, record setting, testing limits, extreme sports, endurance events ... but I'm guessing that if you're reading this, you're going backpacking because you want to have a good time. And you desire to come home in reasonably good shape! So consider bringing along a few things that make you smile, or sigh with contentment at the end of the day. The free pdf checklist (link at top of page) has lots more suggestions for you. Then you might like to see how a backpacking trip in a remote Alaskan area of Wrangell St. Elias was successful, in large part because of the best backpacking checklist I used. The trip description highlights how each piece of backpacking equipment was used, what I should have left home, and why I selected the gear and clothing I brought. It also has a free pdf of the trip checklist, for your convenience. You can compare it against the more generic, and thus customizable, gear list offered here (use floating TOP button on your right to scoot back up to the pdf link). Send me your question about putting together your best backpacking gear list, and I'll do my best to give you my honest assessment of what fits best for your hiking style. Why would I offer to do this? And that includes self care tips, like these!